Our set of 2 garden waste bags has been especially developed for YOU and offers many important advantages compared to competitive products. Each bag has a Maximum Capacity of 132 gallons (500 liters). Ø 33" (84cm) , Height 33", (84cm). Each bag can be filled with more garden waste than many other bags. Many of the XXL Bags suffer from a single bottom layer which rips off. 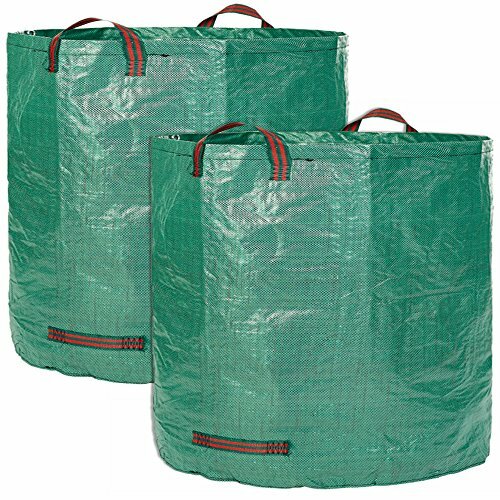 Our garden bags are provided with a second supporting bottom layer to increase lifetime. Each bag comes with a plastic hoop for maximum stability. Please do not overload the bag with wet grass because it is very heavy. If you have any questions about this product by Glorytec, contact us by completing and submitting the form below. If you are looking for a specif part number, please include it with your message.